Most students who attend my courses want to know what the best stress management tips are. High school students are under so much pressure to achieve high results to get into the courses they want to do. A little bit of stress can propel students into action but too much stress can impair their performance. Firstly, be prepared. We are all familiar with this Scout’s motto. There is nothing more stressful than leaving your studying to the last minute and then panicking because there isn’t enough time to study everything. Adults often report that they still have nightmares where they are in Matric and they have an exam the next day which they haven’t studied for. A friend told me that he recently woke up from this type of nightmare. 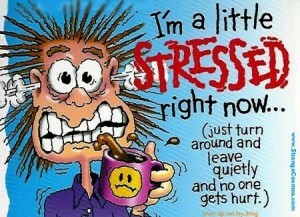 The way to avoid this type of stress is to start exam preparation two to three weeks before an exam. One feels much more confident and calm walking into an exam when one is well-prepared. Secondly, breathe deeply. When panic starts rising in your body, then your breathing becomes shallow and it feels hard to think clearly. I find that it works really well to sit quietly, close your eyes and to breathe deeply for ten breaths. Try it. Your body feels more relaxed and your thoughts stop rushing frantically around your head. This is really useful to do when you sit down in an exam hall and the question papers are being handed out. No one will notice you discretely practising deep breathing. It is also useful if anxious feelings come up while you are studying. And thirdly, practice positive self-talk. When you are feeling really nervous for a test or exam, it’s natural for a negative soundtrack to run through your head. For example, “I’m so stupid that I’m going to fail this Maths exam and my parents are going to kill me and I’ll never get into university or technikon and I’ll be a failure…” This type of negative self-belief can easily become a self-fulfilling prophecy. It is counter-productive to feeling confident and self-assured before an exam. I tell students who are nervous for an exam to tell themselves, “I am going to do my best in this exam. That’s all I can do”. They may need to repeat it to themselves aloud until they feel calmer and more confident. Students who have attended my courses have given me feedback that all of these strategies were effective in reducing their stress levels. I also recommend the book “Don’t Sweat the Small Stuff for Teens” by Richard Carlson for more useful tips. Which stress management tips have been most effective for you? Parents and students often ask me how to study. I believe that the best study tip is to summarise the information and then memorise the summary. Students may choose to summarise information by writing information in a linear format, or by creating a mind map which is a visual representation using words, pictures and colours. I often find that students don’t include enough of the important information in their summaries. When they are required to answer questions in tests and exams, they don’t know enough details to answer fully. This is often the case with subjects like Biology and History. I always tell students that it is not enough to simply summarise the information. While the process of summarisation helps one understand the information, most students aren’t able to recall all the information sufficiently after doing this. The next step is to memorise the summary. 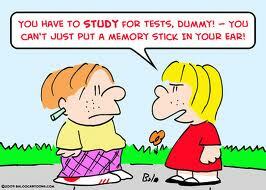 Many students these days don’t realise that they have to memorise information to do well in tests and exams. If you glance through The Answer Series book for Grade 11 Biology, you realise how much detail is required to get full marks for an exam question. Students need to know this information off-by-heart. It is not sufficient to merely read through one’s textbook two days before an exam! I teach students to memorise their summaries and then test themselves the next day to see whether they can still recall the information. It’s important to test yourself the following day to ensure that the information goes from your short-term memory into your long-term memory. This study tip really helps students improve their results. I’ve worked with many Matric students in particular who have given me feedback that this tip was highly effective in helping them achieve their academic goals. What is your best study tip? The course made me think about new, interesting ways that people study and it showed me how to discipline myself. I did your Study for Success course when I did my Matric in 2012, and it helped a lot. I am still using those skills today and I am currently in second year at university.